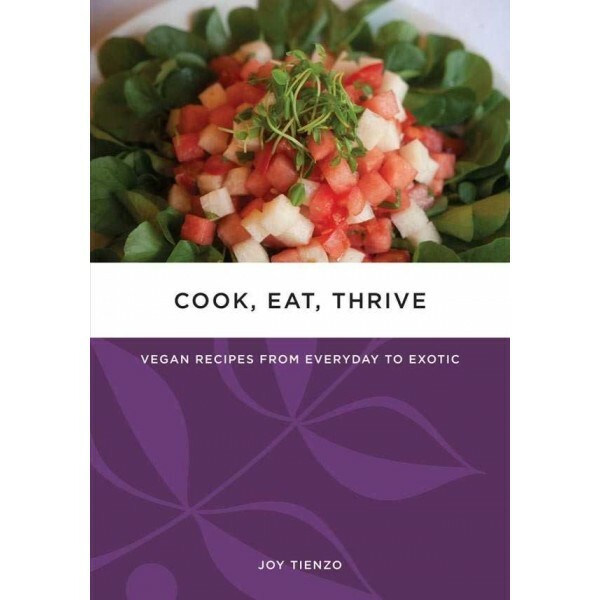 In Cook, Eat, Thrive, Joy Tienzo encourages you to savor the cooking process while crafting distinctive meals from fresh, flavorful ingredients. Enjoy comfortable favorites. Broaden your culinary horizons with internationally-inspired dishes. Share with friends and family, and create cuisine that allows people, animals, and the environment to fully thrive. Joy Tienzo loves food, and writing about food. Whether working as a pastry cook, hosting community brunches, or crafting wedding cakes, her purpose in life is to feed as many people as well as possible. When not in the kitchen, Joy can be found on a plane, a yoga mat, or volunteering for refugee and human rights causes. She lives in Denver with her husband and daughter, and can be found online at www.cookeatthrive.com.